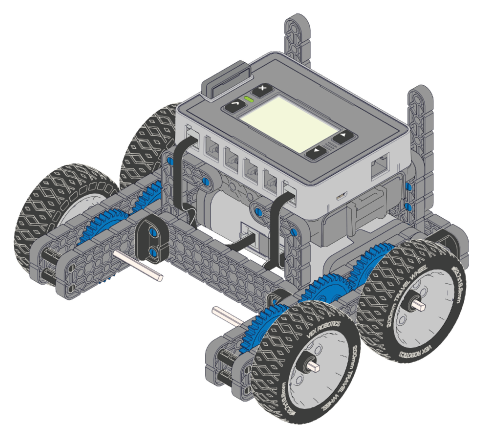 In this unit you will build and test your first VEX IQ Robot. You will follow assembly instructions provided in your kit (or animated assembly instructions), and use the Your First Robot Build Rubric for evaluation. Idea Book Pages for each part of your build will be used to help you document your process and test your finished robot.